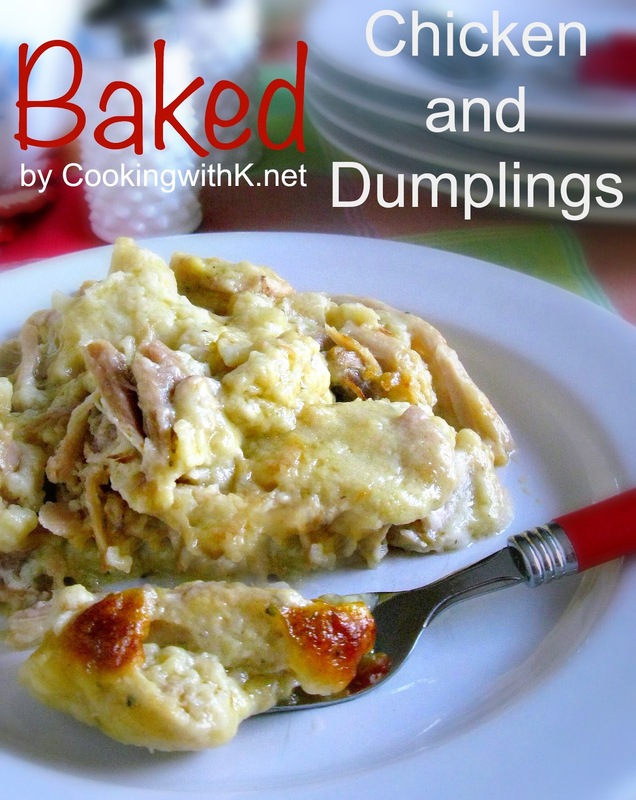 Baked Chicken and Dumplings has all the flavors of Homemade Chicken and Dumplings without rolling out the dumplings. This casserole is truly magic dumplings! My husband loves my Homemade Chicken and Dumpling recipe, and he was a little hesitant when I told him I was going to make Baked Chicken and Dumplings. He could not imagine how they would turn out, and I must say I was a little intrigued too. I have been seeing several recipes going around, and some were a little different from others. Like my husband, I love the homemade dumplings recipe I make and did not want to vary from it. The recipes that I have usually seen call for self-rising flour and milk, or flour and baking powder and milk, so I wanted to see if I could use my recipe which calls for flour, eggs and milk. I tried my recipe, and we LOVED them. I am still intrigued on how they came out like dumplings. Oh well, just trust me---they are delicious! Another ingredient that I noticed everyone was using was cream of chicken soup. I didn't have any in my pantry, but I did have a can of Campbell's cream of chicken soup with herbs. I didn't know if it would take on too much of the flavors of my turkey and dressing recipe that I add herbs to or not. I wanted it to taste like dumplings not dressing. I went ahead and tried the cream of chicken soup with herbs, and the flavors were not overpowering with the flavor of the herbs so I will use it again. In a stock pot, add water, chicken, salt and pepper. Cook until chicken is tender and easily comes off the bone. Remove chicken from broth and place on a platter to cool. Reserve the chicken stock. As soon as the chicken is cool to the touch, debone chicken and cut in cubes or shred. Preheat oven 400 degrees F. Pour and spread melted butter in the bottom of a 9 x 13 baking dish. Arrange chicken over the butter in a single layer. Bake uncovered for 40 to 45 minutes or until the top is golden brown. Let cool for 10 or 15 minutes before serving. 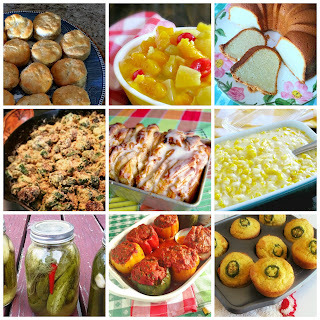 This post maybe link up to Meal Plan Monday, Weekend Potluck, and all these fabulous parties! This looks great all around!! It's certainly comfort food weather! Wow, this looks like one of those things that I couldn't stop eating. What a great sounding casserole. Also love that dish. I have kept all my Pyrex over the years, love them in photos. 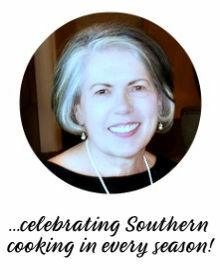 Thank you Lea Ann for stopping by…pyrex dishes are my favorite! This looks amazing, Kay! So family-friendly and perfect for the cool weather that's ahead. Pinned and tweeted! 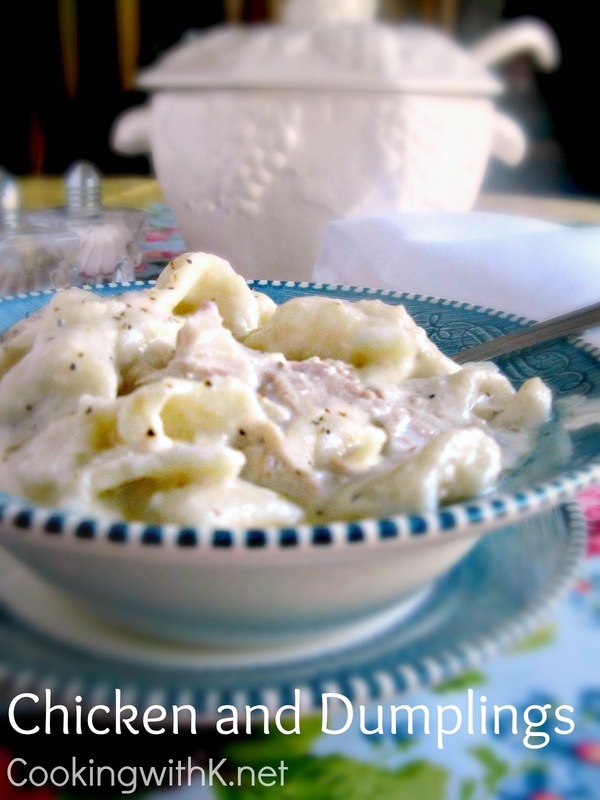 We love Chicken and Dumplings and have never had Baked Chicken and Dumplings, it looks fabulous and of course I am going to be trying the recipe, know it will be good coming out of your kitchen! Hope you are having a great day and thanks so much for sharing your awesome post with Full Plate Thursday. 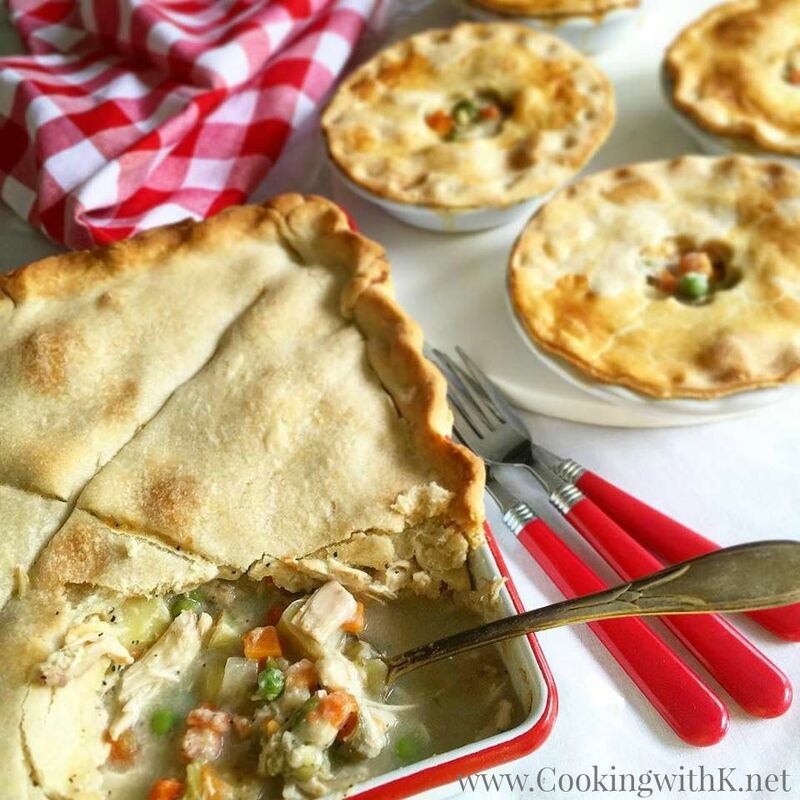 Wow Kay!This Chicken and Dumplings Casserole looks so good. 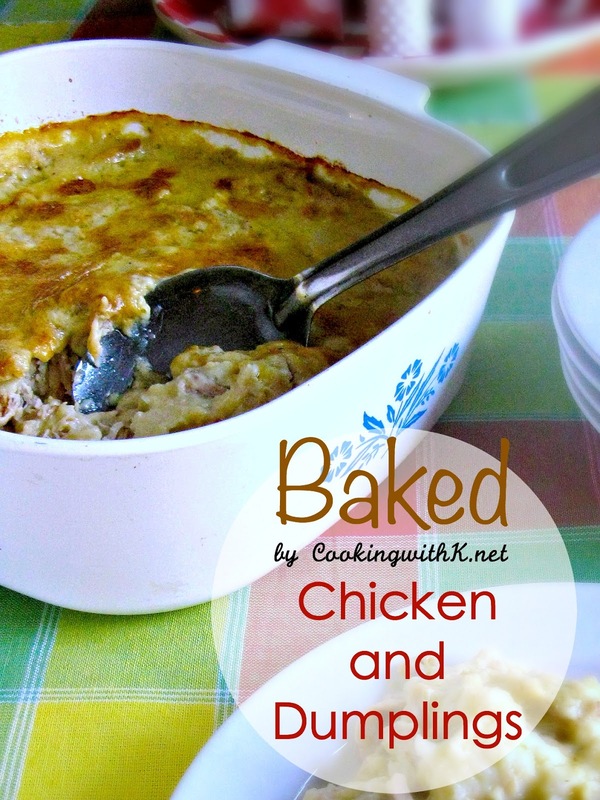 I've never made chicken and dumplings in casserole form. Must try it soon! Amazing and easy! Made this for dinner tonight and my family LOVED it. Will be making this again SOON! Thank you Mrs. Kay. So glad your family enjoyed it….thanks for stopping by CWK!! Just popped this in the oven! Can't wait to try it!! 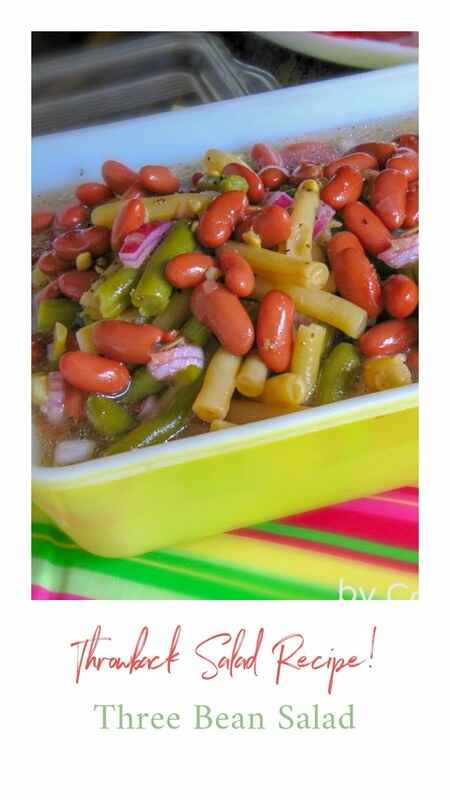 FAAAABULOUS recipe Kay. So glad you shared at Weekend Potluck. Congrats on being featured. Can this be made a few hours ahead of time, kept in fridge, and then baked? Not sure...I have not tried to make them ahead and refrigerated then baked. Oh my, looks so Good!!!! Okay. So, is the Dumpling part the flour topping? I wanna try this. Would a rotisserie chicken work for this recipe? Thanks! Yes. The flour cooks in the broth and that's where all the magic happens. Yes you can use a rotisserie chi chicken. Thank for stopping by!